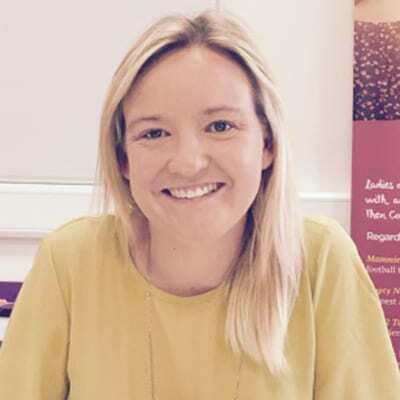 Georgina McKenna is a New Frontiers participant and the founder of startup Count Her In, a free online and offline social community for women. Georgina worked for 12 years in a multinational corporation, enjoying the energy and buzz of being a project manager and senior finance shared service leader. However, it had always been a lifelong dream to run her own business, so when she was made redundant she took the opportunity to finally follow her true passion. With an interest in mental health, Count Her In is a response to the difficulties of true communication in modern society. Having emigrated at the age of 19, she experienced what it is like to feel out of place in new surroundings and how easy it is to lose your identity if you do not have a circle of friends you can call upon from time to time. Mammies – For mothers who want to juggle baby bottles, homework, and football training with their own dancing shoes. Empty Nesters – For women whose children have grown and flown the nest and now they want to rediscover life. New 2 Towners – For ladies who have relocated and are looking to make new friends, discover their area and make memories along the way. Georgina’s goal is to help women live the life they want to, rather than simply surviving. With the success of Count Her In, she has managed to achieve the support of many established businesses which provide members with perks, helping women make the most of their free time. Today women are busier than ever and knowing where/how to make new friends or even just getting around to organising something for them and their existing friends is tough going. Count Her In will make that easier: we provide ladies with a platform for them to get to know other ladies in their area, maybe find a gym buddy, someone they can go to the cinema with or out for a few drinks. We even run organised events where all ladies have to do is count themselves in.